Choosing a password 6 Tips For Creating An Unbreakable Password That You Can Remember 6 Tips For Creating An Unbreakable Password That You Can Remember If your passwords are not unique and unbreakable, you might as well open the front door and invite the robbers in for lunch. Read More used to be so easy. You would pick a word that’s close to your heart, maybe add a couple of numbers to the end to throw cybercriminals off the scent, and you were set. Now, that’s no longer the case. If you want to stay safe online you’re not only expected to choose complex strings of letters and numbers, you’re also expected to use different passwords on different sites. 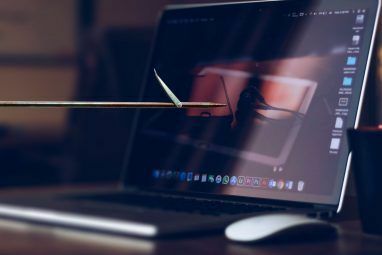 No wonder so many people choose to use password managers 5 Password Management Tools Compared: Find the One That's Perfect for You 5 Password Management Tools Compared: Find the One That's Perfect for You Choosing some sort of password management strategy to deal with the huge amount of passwords we need is crucial. If you're like most people, you probably store your passwords in your brain. To remember them... Read More instead. But not everybody got that memo. Which means many people are still using passwords Everything You Need To Know About Passwords Everything You Need To Know About Passwords Passwords are important and most people don't know enough about them. How do you choose a strong password, use a unique password everywhere, and remember them all? How do you secure your accounts? How do... Read More even your dumb dog or crafty cat could guess with ease. Every year, SplashData releases a list of the most popular passwords in use across the Internet. Albeit a list compiled from the passwords leaked online the previous year. This essentially makes them the worst passwords to use, or at the very least the most popular bad passwords. This list is made up of the most popular passwords sourced from the 3.3 million exposed online in 2014. 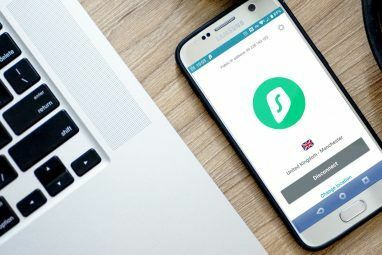 The passwords were sourced from those mostly living in North America and Europe, hence the lack of non-English words and phrases. That’s good advice, but right now we would rather focus on the list and what each of the passwords reveals about those people who use them. Hold onto your hats, as this could get particularly snarky. I’m guessing most people chose this based on its endless use in The X-Files. It’s probably the least stupid on the list, but “least stupid” does not translate into “sensible“. The irony here is that Bruce Wayne is sure to have had passwords far stronger than any of those featured on the list. Alfred, on the other, is almost guaranteed to use this as his password. The first password on the list to consist entirely of numbers, which is never a good idea. Repeating the same sequence twice doesn’t help either, especially if that sequence is “1, 2, 3“. Three 69s in a row may well represent a good night had by all, but that doesn’t make it a good password to use on the Web. Using three sixes also means you worship Satan. Probably. We’ve already had Batman so I guess Superman was always going to make an appearance too. Let’s not forget that Superman can turn back time by flying around the world, so passwords aren’t likely to be high on his agenda. The admin password for the universe is ‘password’. I’m not sure who is more stupid here: those people called Michael who use Michael as a password, or those people not called Michael who still use Michael as a password. The latter, surely. Either these people think their choice of password is masterful, hence they are the master, or it’s their master password. If the former, deluded, and if the latter, just plain ol’ stupid. I can just imagine the playful smile that played across the faces of all those who settled on Access as their password. It’s so simple yet so clever. No one else will ever think to do the same. If you own a Mustang then why wouldn’t you want to use the word Mustang as your password. I mean, owning a muscle car is a status symbol and something you want to advertise to all and sundry. Pretty sure I could learn to fly a space shuttle before I remember my Netflix password. Why the number 1? Why six in a row? Why aren’t people required to obtain a license before heading online? Why are people with IQs of less than 10 10 Websites With Fun Tests To Gauge Your IQ 10 Websites With Fun Tests To Gauge Your IQ Read More allowed to breathe the same air as me? 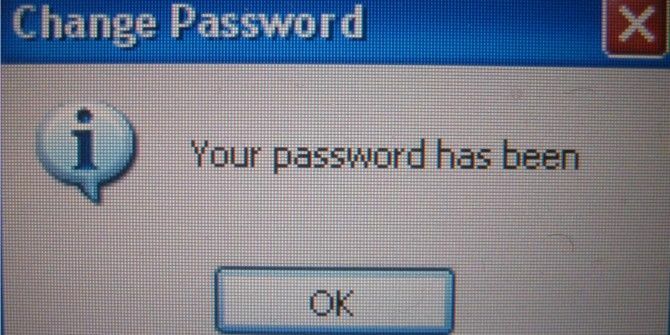 Michael Jackson is, or at least was, the only person with a valid reason to use this as a password. But then he would have probably used Michael instead. Or possibly [Redacted for fear of being sued]. So clever, so witty, so ironic. No, no, and thrice no. This has been a popular bad password for many years, so it’s safe to assume every trickster and reprobate knows this one by now. Nope, I haven’t a clue. Favorite animal, I guess. Or at least favorite animal whose name contains the required six letters. Cat would be worse, even though it would please our feline overlords. If you’re going to use a simple succession of numbers, why stop at 7? Is it sheer laziness or something else less obvious? I just made the most ridiculous, complicated password ever because I felt challenged by a password rating system. We’ve had favorite car and favorite animal, so why not favorite sport too. Sadly, this probably refers to American football, the dumb football, the one that only people in the United States call football. Shame. I can only assume Game Of Thrones has something to do with Dragon making it onto the list. Or the movie version of The Hobbit. Or people’s sheer stupidity. It’s definitely one of the three. Football, baseball, basketball, it’s all the same really: Meatheads playing with their balls in front of millions of salivating spectators. That doesn’t explain the password thing though. Some people chose seven numbers, which is bad enough, but these people only chose four numbers. There’s no getting away from it, this is laziness of the highest order. OK, this is getting tiresome now. Nine is better than four and seven, but it’s still going to be cracked far too easily. Hell is having children old enough to change your iPad password. It’s not a real word, which is a positive. Sadly, it is the first five letters featured across the top row of a standard keyboard. Hence, it being called a QWERTY keyboard A History of Keyboard Layouts, Is QWERTY Lagging Behind? A History of Keyboard Layouts, Is QWERTY Lagging Behind? QWERTY is over 100 years old. It's outdated and outclassed by several alternatives, yet it's still the most popular keyboard layout in the world. How did we get here? Read More . Not good enough. If you’re using Password as your password then you should seek medical help at your earliest convenience. I’m serious, you need to see someone about that problem you have with your brain. So, wait a minute. The first six numbers used in succession is the most popular bad password of 2014. Have these people got no imagination? No common sense? No idea of the sh**storm that will ensue when their password gets cracked? Do you use one of these passwords online? If so, tell us why you do in the comments section below, obviously avoiding actually revealing which of the passwords you’re guilty of using and on which websites you use it. Unless you’re stupid, in which case, feel free to invite trouble your way! 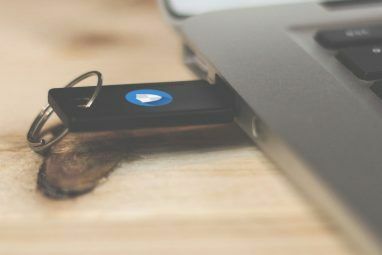 Assuming you don’t use any of these passwords — because reading MakeUseOf suggests you have a little intelligence and a lot of common sense — feel free to reveal your strategies for creating and remembering passwords. And if you let a password manager do the hard work for you, let us know which one you use and why. "Sadly, this probably refers to American football, the dumb football, the one that only people in the United States call football. Shame." Sorry, Bub, Canada plays the same "football" game (brain injuries and all) that America plays. For Less Important Sites I Use Some Really Lame Passwords - At Least, Neither Of Them Is In This 25 List. Is one of them actually "Lame." That would be kinda fitting. I'm ashamed that 'Guest' wasn't on this list. Guess there aren't a lot of Archer fans stupid enough to try this one. That's one point for common sense, I suppose. I wouldn't have got the connection as I have never actually watched Archer. Should I? It's a pretty good show if you ask me. I would recommend it. A lot of the humor is in the situations they get involved in and how the characters play off each other as well as the things they say. I don't use these exact passwords but there are one's I do use are no better. Why? because I didn't want to have a password in the first place - most likely it's a forum I wanted to ask a question in or a site that won't let you do something without registering. There's no important info to be found out about me, I'm not coming back so I don't care if you trash the reputation I haven't got under the equally imaginative handle I provided. Yes I could let Lastpass come up with something but why clutter it up with this kind of crud? That makes sense. Unless there is any way to connect those forums with an email account or social network or something. I write down a series of jumbled letters, numbers and symbols and create passwords. I is difficult to remember, but after a few logins, it remains in memory. How do asteriss work if you need to use a mixture of UPPER and lower case letters, numbers and symbols? I use car registration plates, it's a selection of seemingly random numbers and letters, but I can remember them because they are of significance to me. That's actually rather clever. I honestly don't think I can remember any significant number plates though, so it wouldn't work for me personally. I really hope it isn't... please tell me it isn't! Mine is just a series of asterisks, so it's easy to use & remember when I'm typing it in. It's pretty secure as long as I don't tell anyone how many asterisks (8) or mention which nuclear weapons program I work for.